Purpose: Prayer shawls are created to be a comfort for those suffering from mental, physical or emotional difficulties. 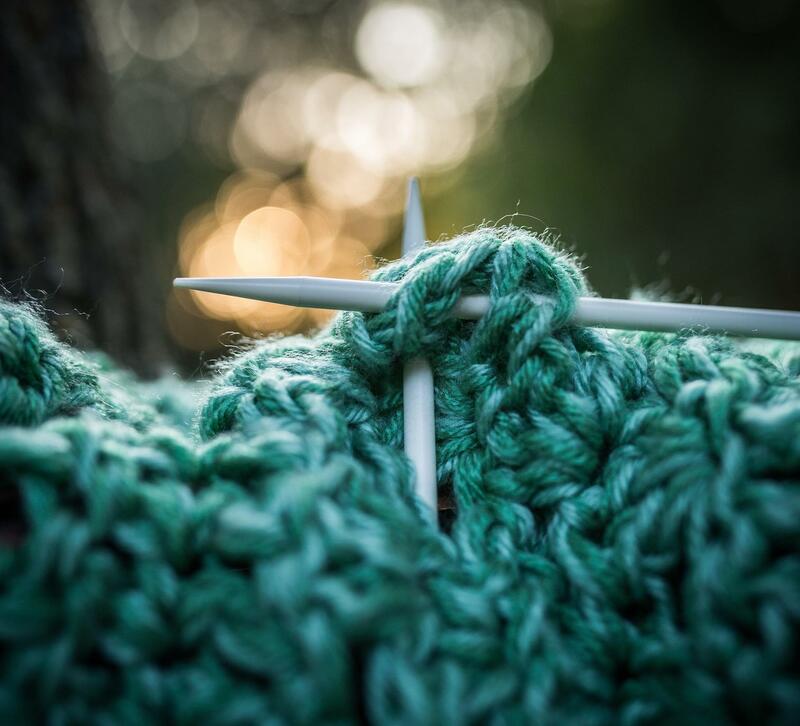 Those who create these prayer shawls -- through crochet, knit, weave or tying -- give their time and service as an act of prayer for the ones who will use their shawls. They pray for healing, peace and knowledge of God’s loving presence. Meeting: We meet in the Teacher’s Lounge from 7:00 - 8:30 pm on the 4th Tuesday of each month. Parish Contact: Faith McCaghy 952-461-2277 / lmccaghy@integra.net. New members are always welcome. You may call or just show up!! 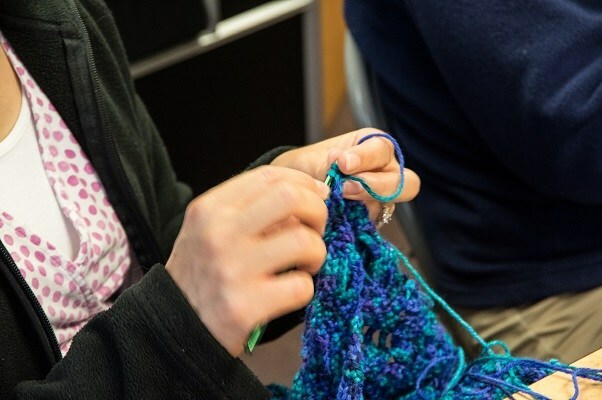 Materials: The Prayer Shawl Ministry uses donated yarn or buys their own special yarns. We are always looking for donations of yarn. 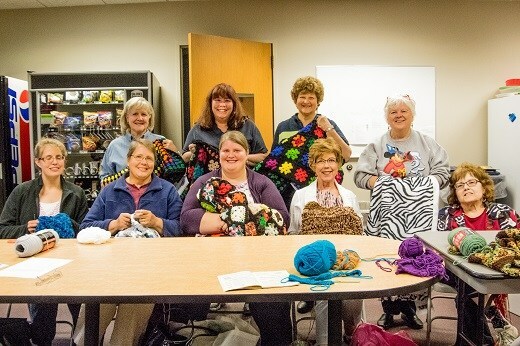 History: All Saints Prayer Shawl Ministry began under Barb Sabal, former parish nurse. She and Jenni Marschall provided prayer shawls that Barb would take to parishioners that she visited. In the summer of 2006, Barb asked Faith McCaghy if she would be interested in getting a group of women involved. Faith put an article in the church bulletin that fall. Since then the group has grown to 12 very active members, and others who help when they can. A prayer is said prior to starting the shawl that this creation may bring the user knowledge of God’s great love and caring. The shawl maker then continues to pray throughout the making of the shawl. The shawls are then blessed by a priest and distributed. Since fall of 2006, approximately 510 shawls have been made. These shawls are given to hospices, nursing homes, and hospitals to distribute. Additionally, the deacons, priests and Extraordinary Ministers of the Eucharist bring shawls to people in need. The twice yearly Anointing Masses are also a means of getting the shawls to parishioners. Anyone may request a shawl for themselves or a friend.